What is Good: Hannah Montana - A Giveaway! 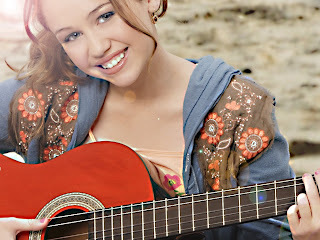 Hannah Montana - A Giveaway! I was recently asked by JAKKS Pacific, Inc. if I wanted to review some toys to promote Disneys new Hannah Montana The Movie that was released in theaters April 10th. Of course I don't have any daughters to give these toys to but I do know a few girls that immediately popped into my mind that would be so thrilled to have some of these Hannah Montana theme toys so I said I would love to participate. I'm actually pretty excited to see the movie myself! My 6 year old niece is having a birthday next month and just the other day she told me that she wanted three tickets to see Hannah Montana The Movie ~ a ticket for her, her mommy, and one for me! I think I'm gonna' have to take her to see it. It'll give me a chance to do something special with her (and it gives me a great excuse to get to see it)!! Well, yesterday my package arrived in the mail from JAKKS Pacific, Inc. and I was pretty stoked to see a couple girl toys in my home among all the balls, trucks and other boy toys! To my surprise Alex was pretty excited himself! He fell in love with the Hannah Montana Rockin' Concert Microphone. He pushed one of the buttons through the packaging and heard Mileys hit song "The Best of Both Worlds" and didn't want to put the toy down! I think I'm going to have to keep that one for him! How would you like to win something for that special niece, daughter, granddaughter or friend of yours? I have a Hannah Montana Quick Switch Doll to giveaway! This 2-in-1 doll can be switched with a simple spin of doll's hair and comes dressed as Hannah Montana, with an additional outfit for Miley to make the transformation complete. Leave me a comment by midnight on April 30th, letting me know about the special little someone you want to win this for. Make sure that you leave me your email address in your comment. Let me know that you entered From Dates to Diapers giveaway for other great Hannah Montana toys. My little girl is too young for this, but my nieces would love it! I also entered at Fromdatestodiapers. My special someone who loves Hannah Montana is my youngest of six, Susannah. My oldest three are teen girls & they hang together, then two boys who are a duo and then Susannah, who is kind of the "odd man out." Sometimes she tries to hang with the older sisters, sometimes the boys. She can be annoying to them, but ultimately a sweetheart and definitely Mama and Daddy's girl. Entered on From Dates to Diapers! My daughter loves Hannah Montana. My daughter doesn't play with dolls but her little play-date friend does and she has a birthday coming up soon! My granddaughter would love this. At least one of the 12 girls would love it. I'd give this to my cousin's daughter. my little one would flip for this! My little cusin who is 11 would love this!She is such a Hannah Montana Fan! For her birthday she said she wants to meet her! My niece would love this. She writes to Miley Cyrus every week. This would be perfect for her.